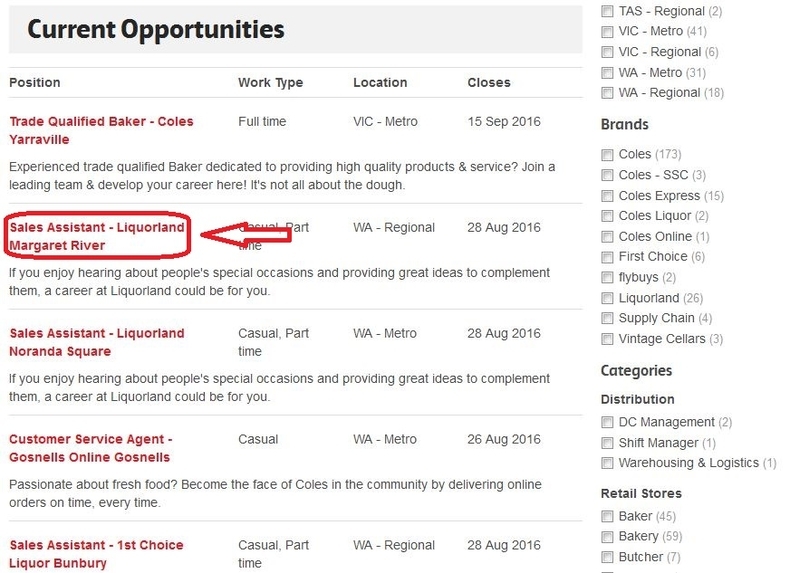 Visit Coles careers page at colescareers.com.au and select your job areas from the navigation bar to start your job searching. Enter keywords to search for the position you are interested in. Or you can click "View all jobs" to browse all the job openings for the position you like. If you want to know more about the position, you can just click the job title to continue. 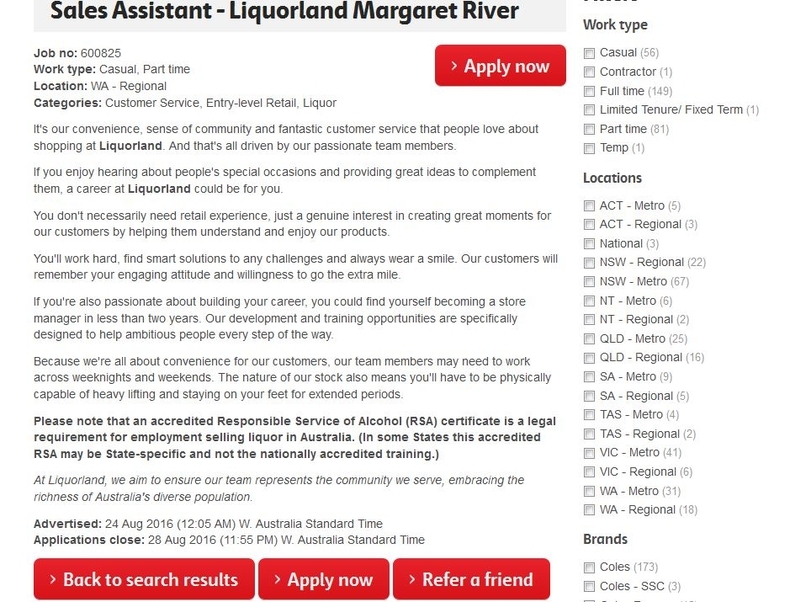 Read the job details carefully and consider whether you are going to apply for the position. If you are sure to apply for a position, you can press "Apply now" to start. Enter your personal email address and agree that you have read the privacy statement. Then click the "Next" button to continue. Create an account by providing your personal details and password. 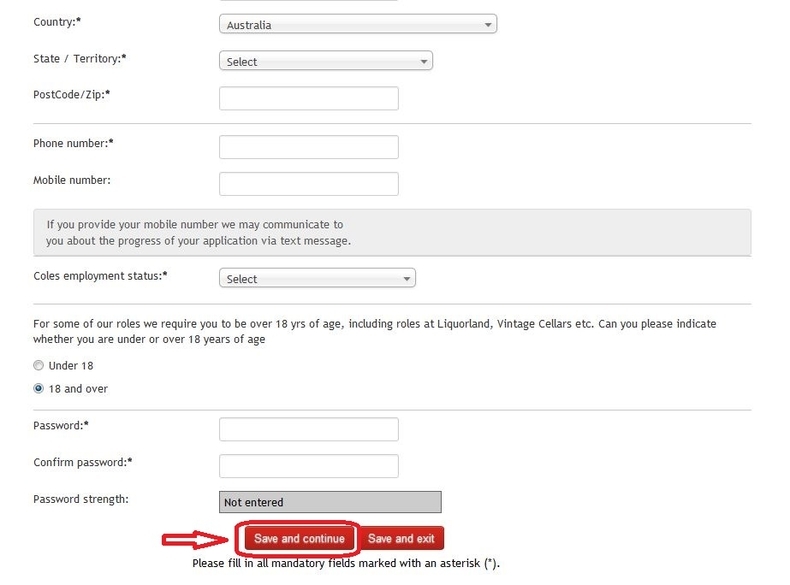 Fill in all mandatory fields marked with an asterisk and click "Save and continue" at the bottom of the page to move on. Identify yourself by answering the two questions of whether you are an Australian Aboriginal or Torres Strait Islander and whether you are a person with disability. Click "Continue" to move on to the next step. 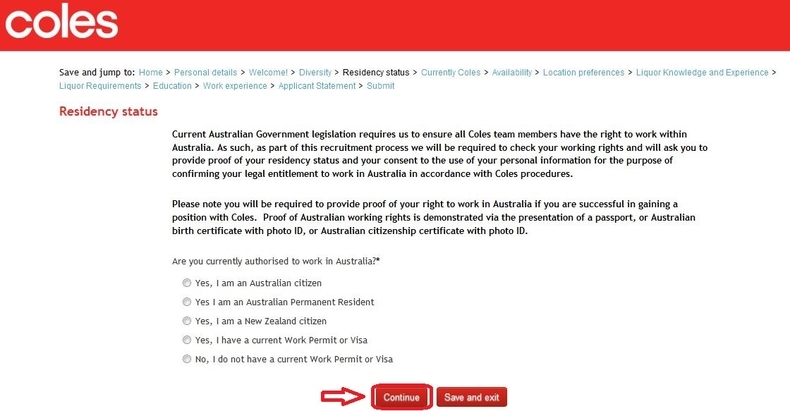 Follow instructions to answer the questions and provide required information in each step including residency status, currently Coles, availability, location preferences, job knowledge and experience, job requirements, education background, previous work experience and applicant statement. Once you finish the questions on one page, just click "Continue" at the bottom of the page to move on until you come to the last step of submitting your application. Finish all the steps and click the button at the bottom to preview your application. 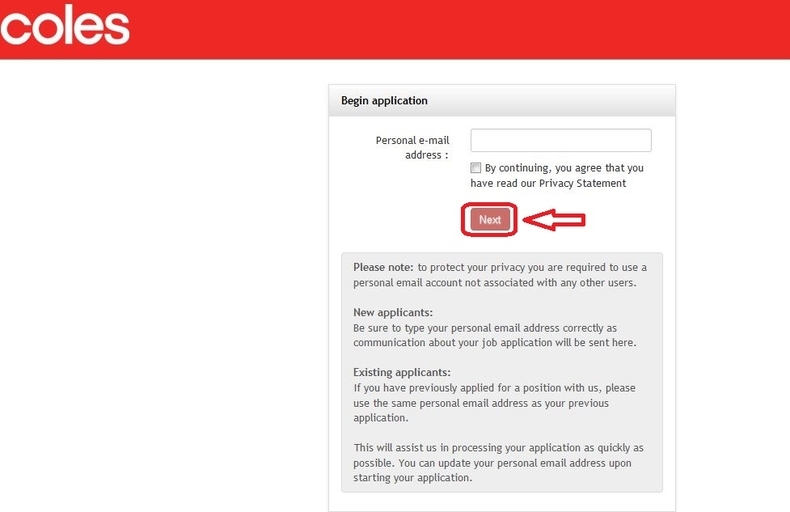 If all the information is provided accurately, you can click the button to submit your application. After submitting the application, you are required to complete an online assessment for your application. It will take you about 20 minutes to complete. You can click the button to begin the assessment this time or log out and complete it later within 7 days before the closing date of the position you have applied for. 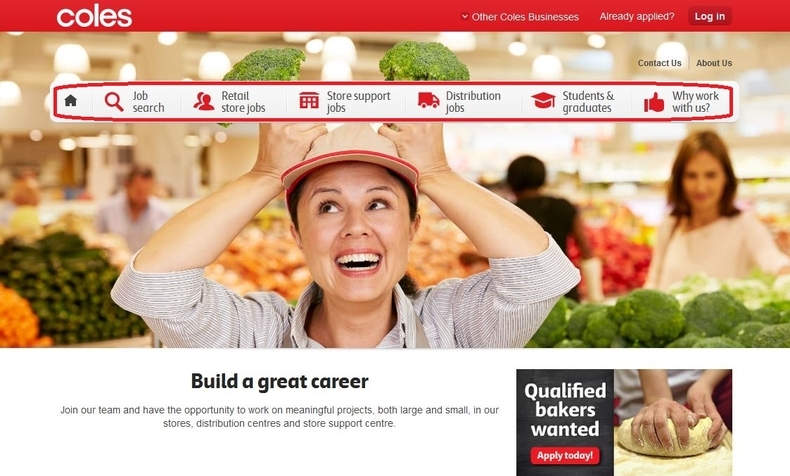 Click colescareers.com.au to apply for Coles jobs online.